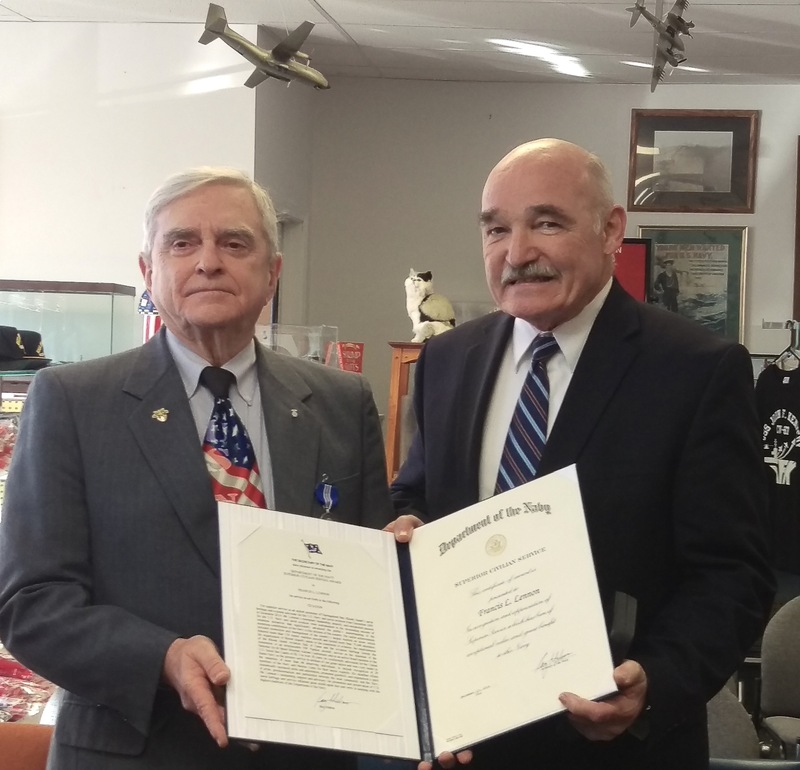 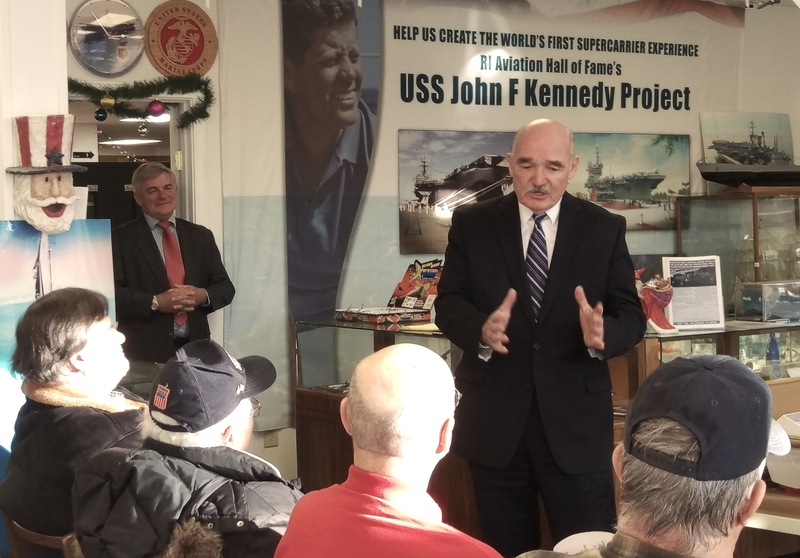 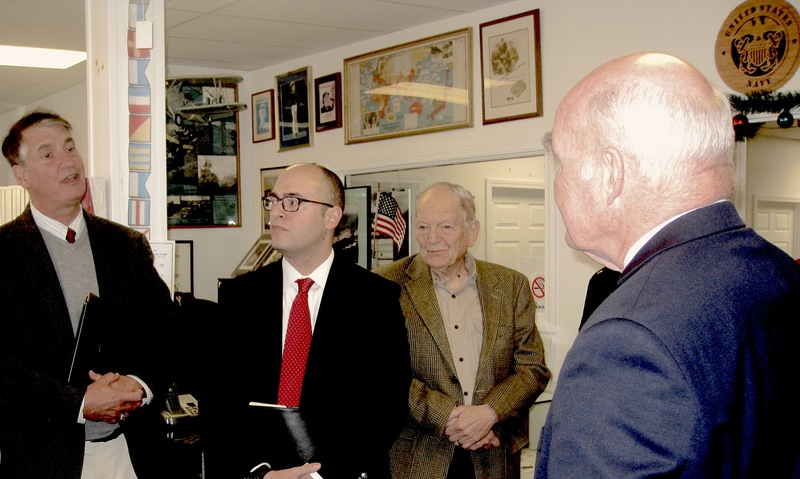 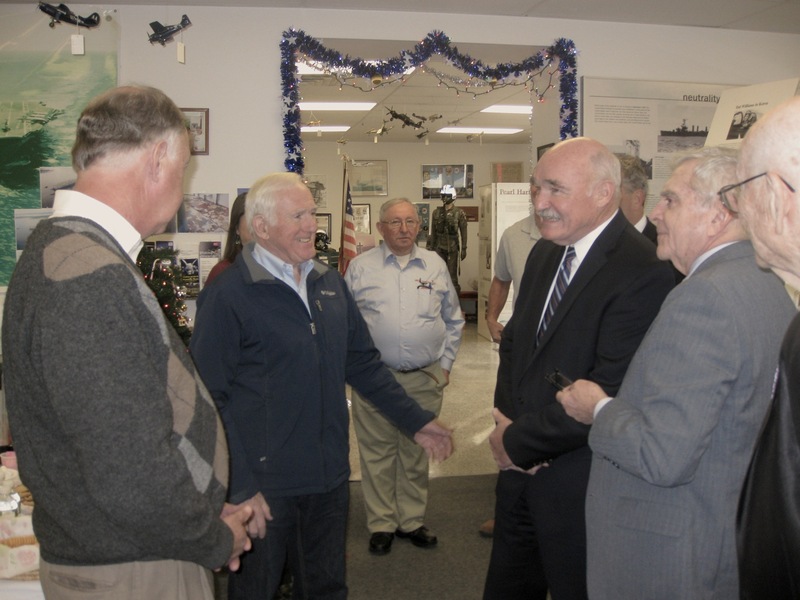 Assistant Secretary of the Navy Dennis McGinn visited our RI Aviation Hall of Fame’s USS JFK Project HQ on December 15, 2016, and spent two hours meeting with board members, volunteers and supporters. 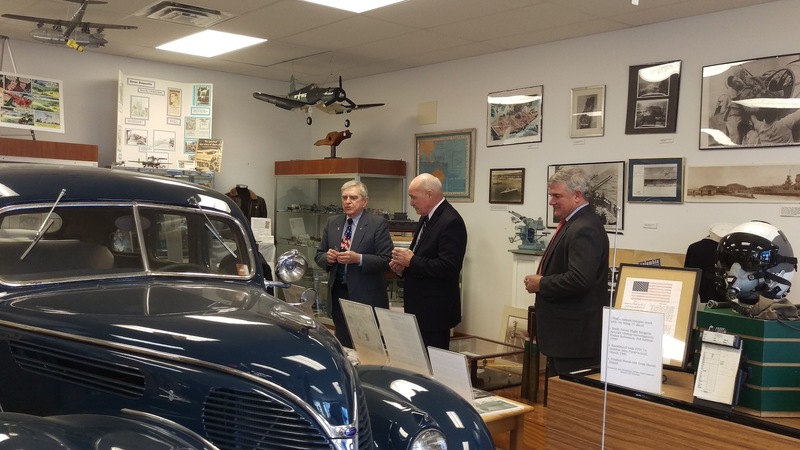 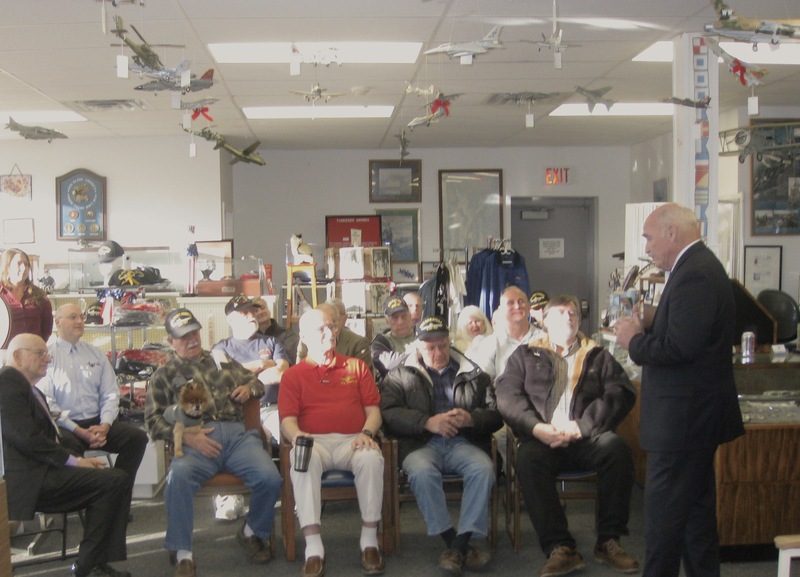 He led a wide-ranging discussion about options for preserving the aviation and naval history of Rhode Island and the region. 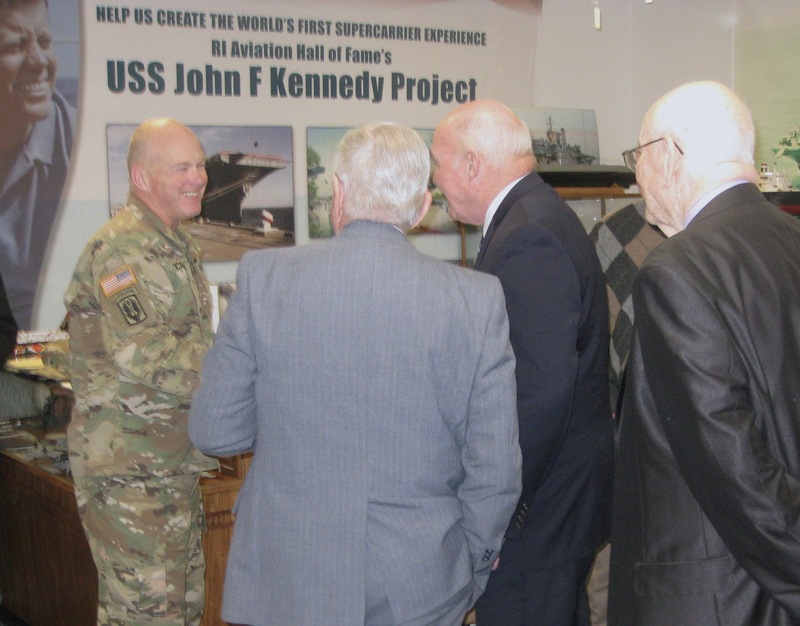 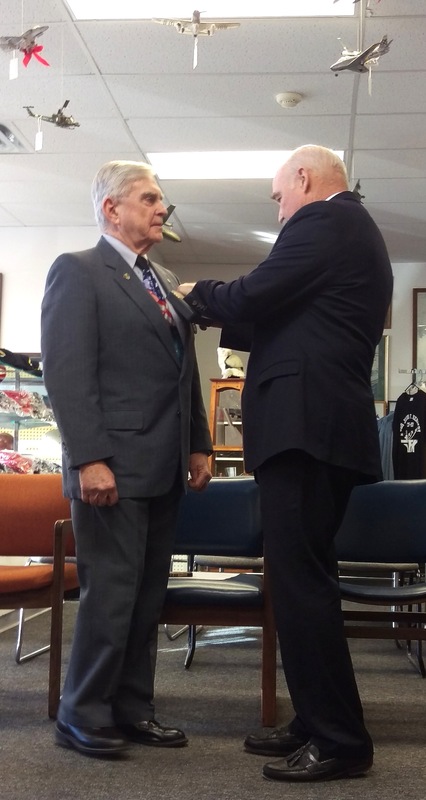 Naval Aviator McGinn, a retired Vice Admiral, was the last CO of USS Ranger and former CO of Third Fleet.